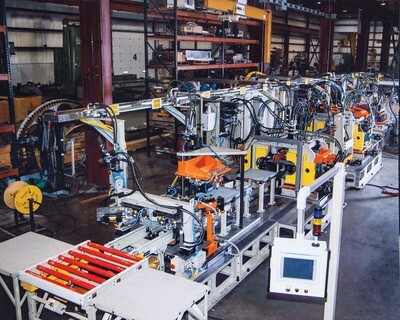 Coldwater Machine is the leading automation supplier in North America for turnkey automated systems for the appliance and HVAC industry. 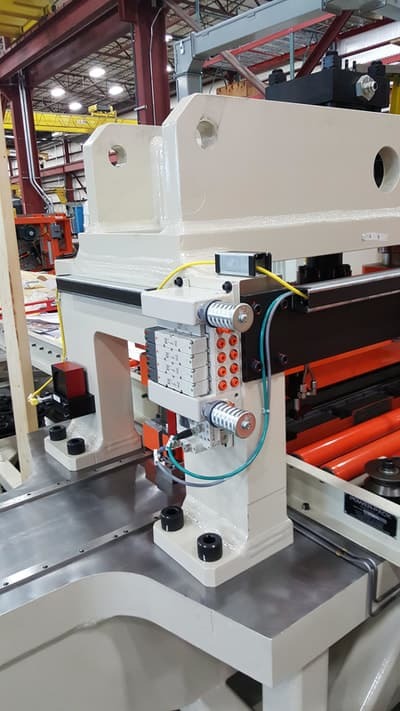 With over 50 years of developing effective solutions, we deliver positive results by leveraging our breadth of experience in fabrication and assembly to optimize your production. 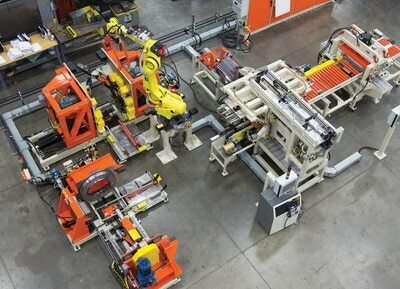 We focus on providing flexible and agile production systems that speed product changeover and new product launches, that address mixed production, and that deliver superior OEE through modular stations and robotic handling. 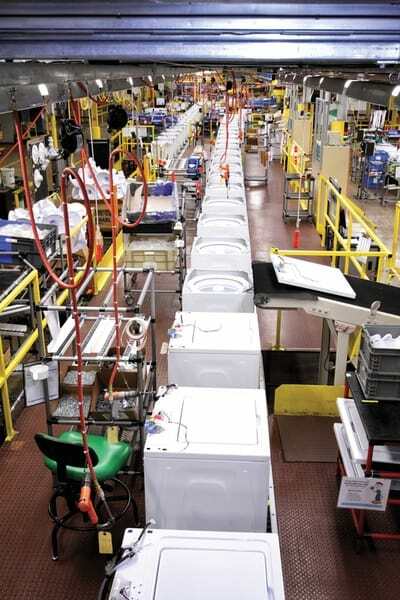 Coldwater Machine will work with your manufacturing team to tailor solutions that can improve your quality, cycle times and OEE for a wide variety of appliance products. 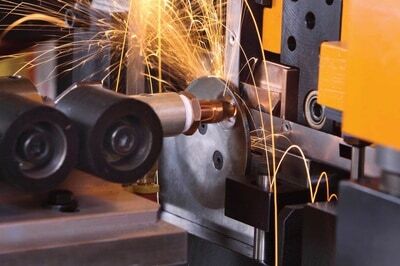 Whether you need a solution for a brand-new product or an improvement to your existing equipment, we can help optimize your manufacturing operations. 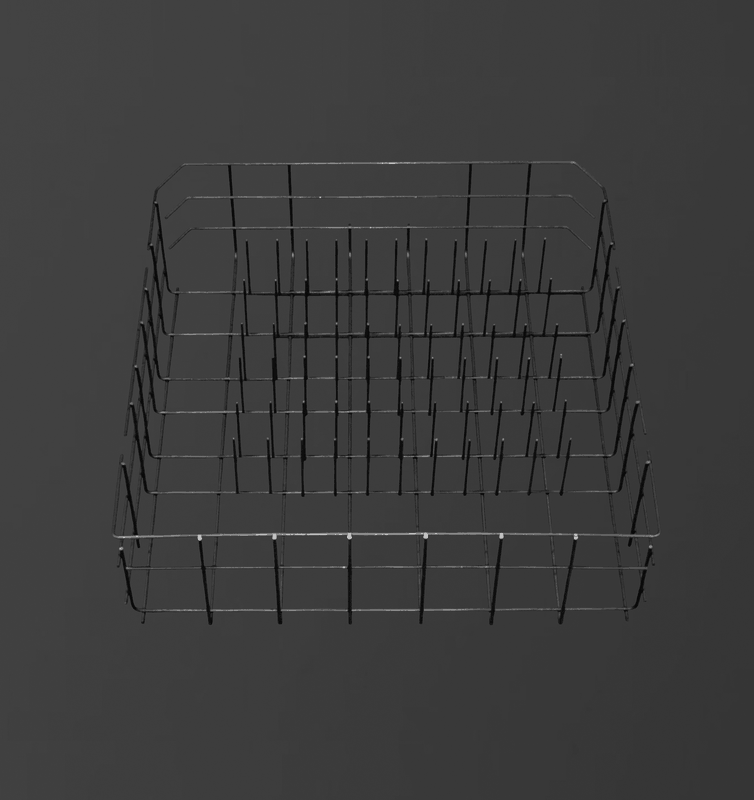 This Dishwasher Basket started life as a mere welded matt. 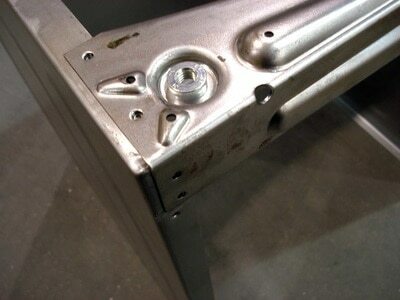 Our solution then provided all the forming, welding and trimming needed to evolve this workpiece into a complete basket ready for coating. 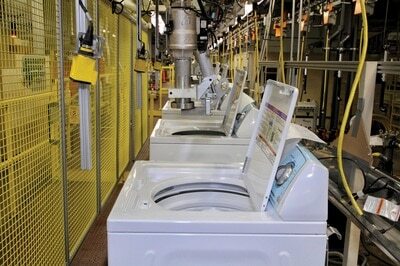 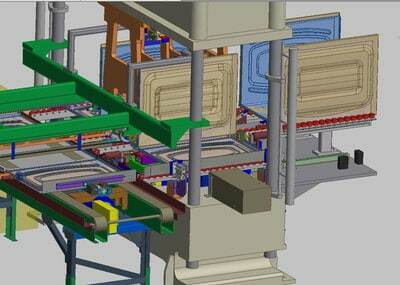 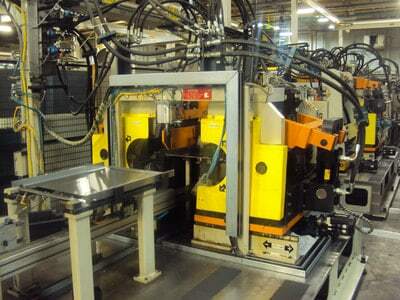 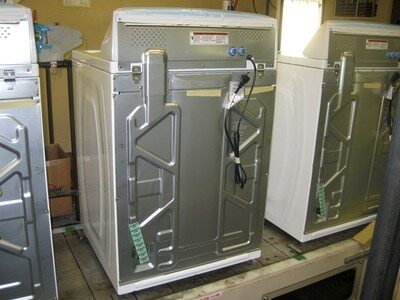 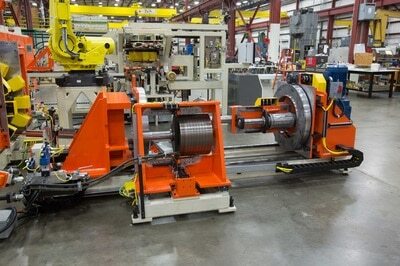 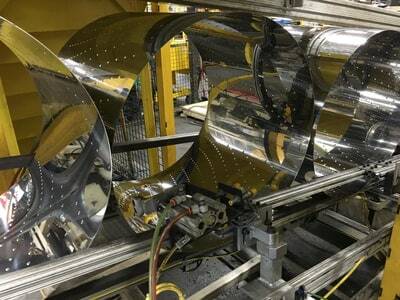 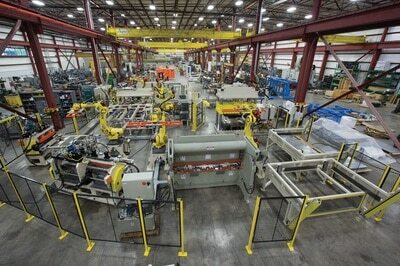 This automated solution utilizes no operators until the completed basket emerges from the line. 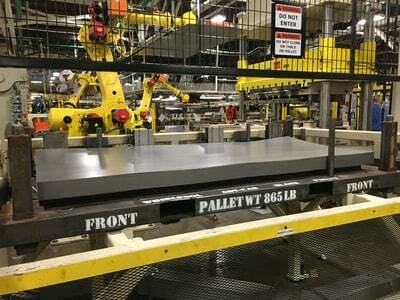 Coldwater provides solutions for manufacturing a wide range of metal cabinets that include total solutions from metal blanks to finished cabinets including operations like stamping, trimming, forming, embossing, piercing, welding, wrapping, bending and hemming. 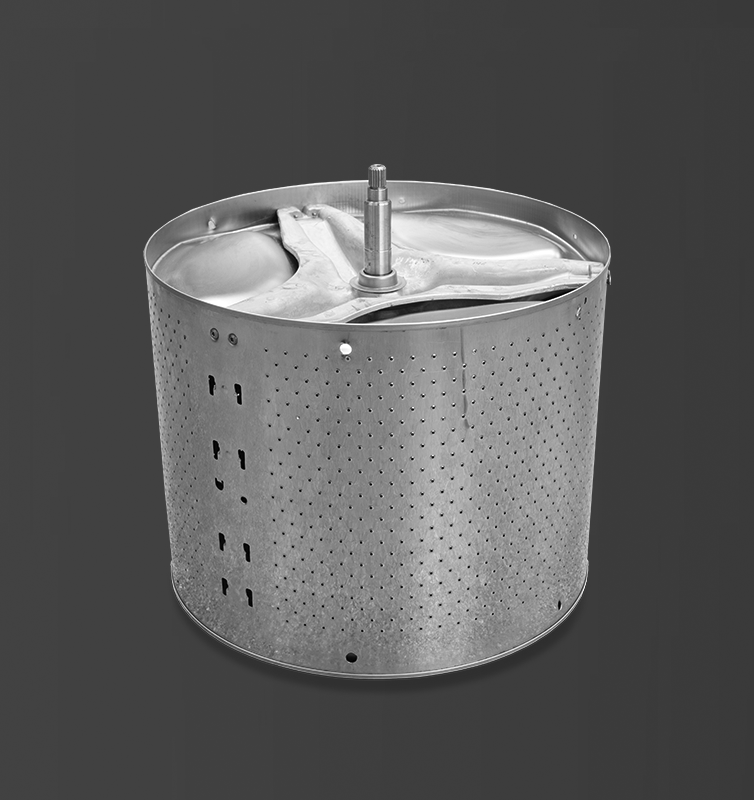 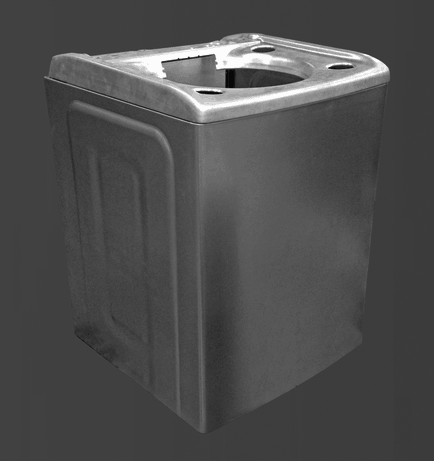 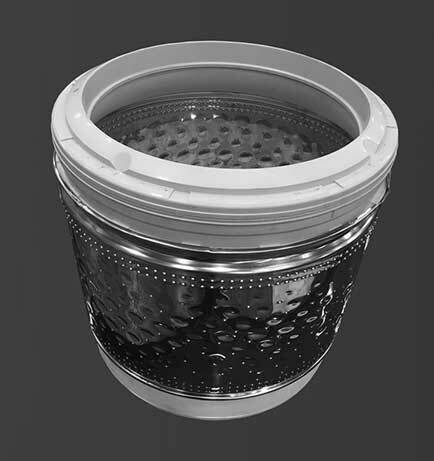 From stainless steel coil stock and flexible robotic blank handling to laser welded wrapper to finished assembly with balance rings, Coldwater can provide a total solution for white good manufacturing such as laundry baskets.